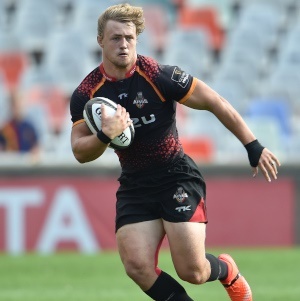 Cape Town - The Southern Kings have been given a boost ahead of the PRO14 Round 19 match against Dragons when a disciplinary committee rescinded a red card handed to centre Tertius Kruger in the side’s recent match against Ulster. Kruger was given a red card in the 68th minute of the match at Kingspan Stadium on March 23. Scottish match referee, Lloyd Linton, on the advice of the TMO ruled that Kruger had committed a dangerous “no arms” tackle with contact to the head on Ulster winger, Robert Baloucoune. Following the decision Kruger will now be available for selection when the Kings take on Dragons at the Nelson Mandela University’s Madibaz Stadium on Sunday. Head coach Deon Davids welcomed the decision.